At Access Dental Care, we are proud to offer digital x-rays in our office. Digital x-rays are available to all patients and are considered a safe alternative to traditional x-rays. In fact, with digital x-rays there is no waiting period for the film to develop and the image is delivered via a computer screen. One of the biggest benefits of using digital x-rays is that dentists are able to compare two images side by side on the computer screen. What this means is that we can pull up an x-ray from your previous visit and compare it to the one taken currently. We will then be able to determine where a problem area is forming and we can also see the progress of any developing issues. If you are interested in learning more about our digital x-rays, please call our office today! X-rays are an important part of any dental hygiene routine and need to be performed to provide dentists with a look at your teeth. 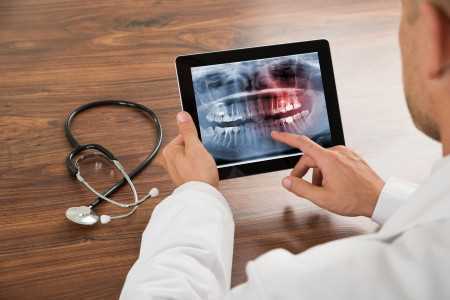 There are small cavities and other dental issues that can hide from the naked eye, but these problems cannot hide from the x-rays. When you come into our office for a dental cleaning, you will have x-rays taken of your teeth and mouth. These images will be evaluated by our dentists to determine if you have any cavities or underlying conditions. If a problem is identified, our dentists will discuss your treatment options with you. There are many benefits to using digital x-rays over traditional x-rays. If you are wondering what these benefits are, we will go over them below. Digital x-rays are much quicker than traditional x-rays and there is not a waiting period for the film to develop either. In fact, the image is transferred right to a computer screen instantly and the image can be viewed immediately. In addition to being able to view the image immediately, the technician can tell if the correct picture was taken or if the picture needs to be retaken. With traditional x-rays, you cannot tell if there is an error in taking the image until the image has developed. Digital x-rays do not expose patients to as much radiation as traditional x-rays do, which makes this digital option a great choice for younger patients and patients who are routinely exposed to radiation. Gone are the days of having to call up your dental office and request copies of the images that were taken at your last appointment. 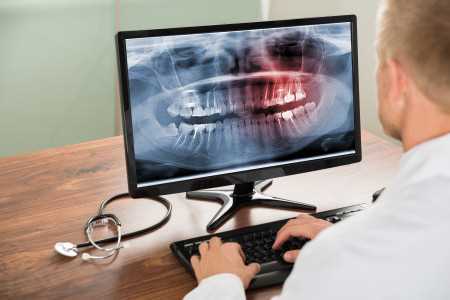 With digital x-rays, these images can be electronically transferred to any dental office. This option keeps your records safe and ensures delivery of the records in a timely manner as well. If you are in need of a dental checkup, we welcome you to call our office today to schedule your appointment. We are here to keep your smile, bright, white, and healthy all year long.